This Online WHMIS Training Course reviews the previous WHMIS 1998 parameters and identifies the changes to the new WHMIS 2015 (GHS) requirements for the workplace. WHMIS joined forces with the worldwide hazard community known as GHS (Globally Harmonized System of Classification and Labeling of Chemicals) and now WHMIS in Canada has been renamed to Workplace Hazardous Materials Information System (WHMIS 2015) and follows a very similar outline to GHS. The new hazard classification system is considered more “user friendly” and allows anyone from around the world to understand any of the hazards. Testing conducted in this Online WHMIS Training course is designed to reinforce the information presented. A mark of 80% must be achieved in order to receive a certificate of completion. Participants are able to repeat the course twice if the pass mark is not achieved. Supplemental materials necessary to complete this course can be accessed online. Participants who successfully pass this Online WHMIS Training Course can download and print their certificate of completion. How does updating WHMIS by adopting GHS standards improve workplace health and safety? WHMIS training has remained largely unchanged since it was established in 1988. 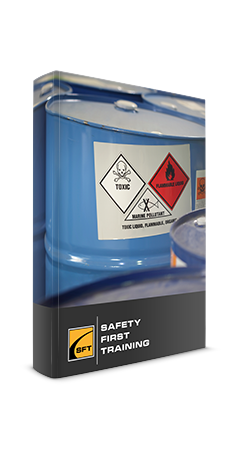 It is a comprehensive system for communicating information about hazardous workplace chemicals. However, there are health and safety benefits to adopting the new GHS standards. The new criteria for classifying chemicals are more comprehensive and detailed than those in WHMIS 1988. This will make it easier for suppliers to indicate the severity of hazards. WHMIS 2015 training addresses some hazardous properties of chemicals that are not addressed in WHMIS 1988 (e.g. specific target organ toxicity – single exposure and aspiration hazard). WHMIS 2015 training provides for standardized language on labels and safety data sheets, ensuring employers and workers receive the same core information about a product, regardless of supplier, and enhancing their ability to understand it. The standardized format for safety data sheets makes information easier to find. Information is presented in a consistent manner in all safety data sheets, regardless of supplier. In addition, the information that workers and emergency responders need most appears first. 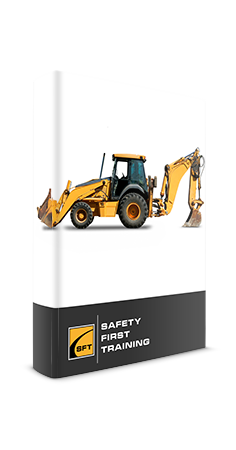 The information requirements for safety data sheets are considered more comprehensive. Employers and workers will have access to a broader range of hazard information and it will be easier for employers to train their workers. Some of the new pictograms are considered to be more easily understood than the old symbols. This will improve hazard communication, particularly to workers who have difficulty reading. For more information regarding WHMIS requirements please visit the Government of Canada website. Also, visit the Ontario Ministry of Labour for more information. Click here if you require an ‘in-class’ WHMIS session for your employees, we can help you get that coordinated.